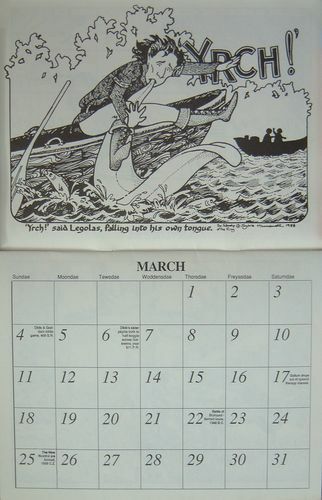 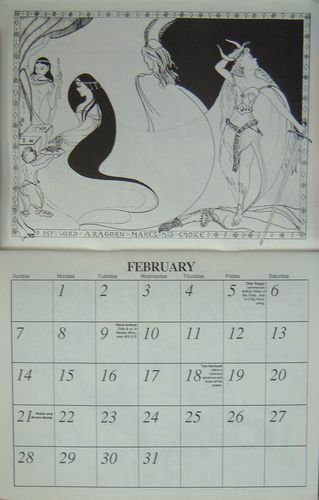 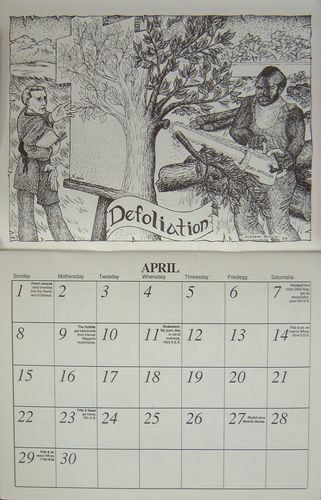 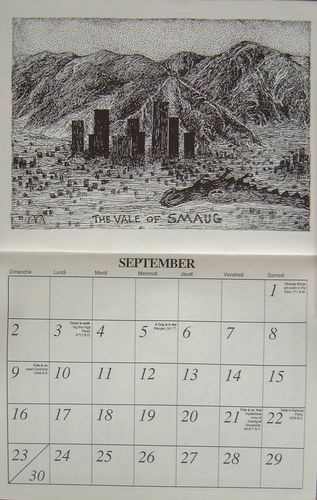 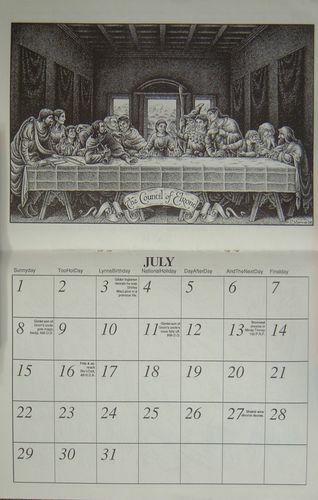 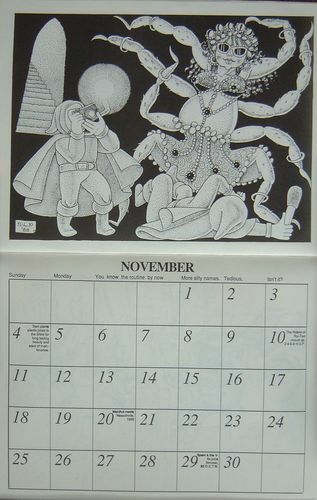 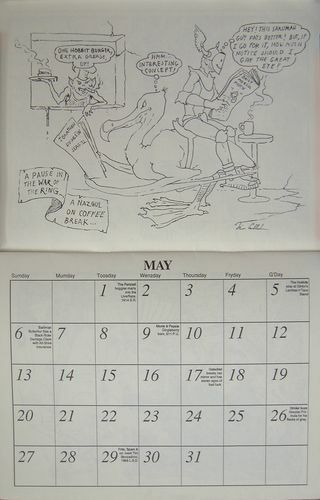 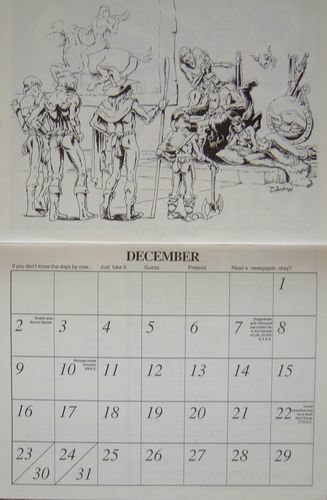 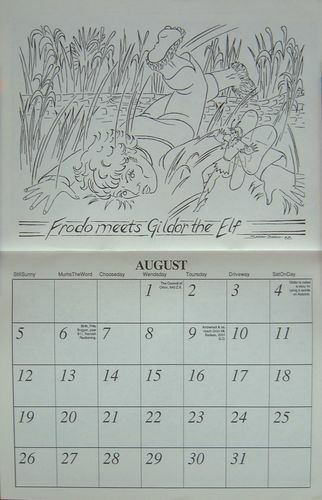 "The 1990 NOT Tolkien Calendar" Hysterical satire: picture Gandalf et al in thongs! 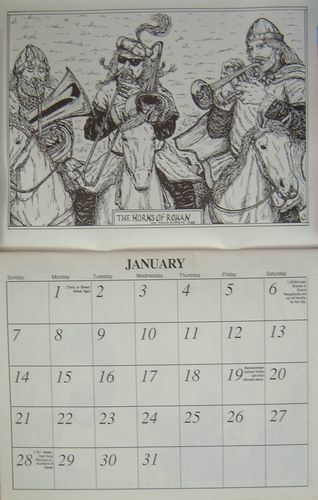 Better yet, just view the December illustration below and see for yourself. 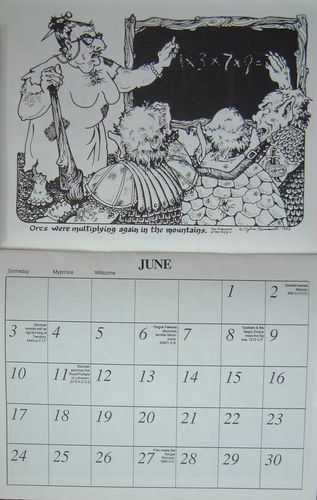 Black and white illustrations by Paula Di Sante, Christine Lowentrout, Sylvia Hunnewell, Sarah Beach, Tim Callahan, Pat Wynne, Lynn Maudlin, Bonnie Callahan, Nancy-Lou Patterson. 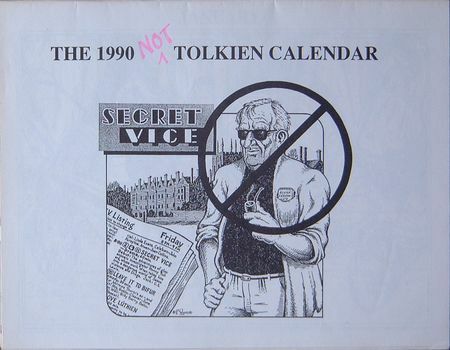 Read Lynn Maudlin's letter about it. 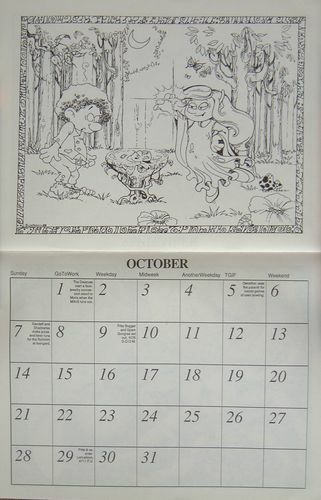 I was fortunate to get my copy signed by Lynn, Bonnie, Sarah, and Paula at MythCon 39.